FUTURE OF HEART HEALTH: WHAT A WAY TO GO ! 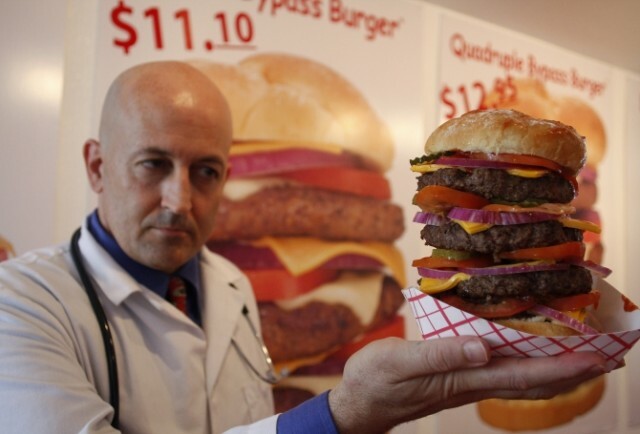 On Feb 11, 2012 in Las Vegas a diner at the Heart Attack Grill in Las Vegas suffered a heart attack while eating the estimated 6,000 calories “Triple Bypass” burger (as shown in the hand of owner Joe Basso). The patient is evidently recovering well but will he go back to the Heart Attack Grill to eat again? Welcome to Novena Heart Centre, the largest Heart Failure Centre in Singapore .